and the surrounding towns of Sebastian, Fellsmere and Indian River County. Property Type No Preference Residential Residential Rentals Residential Income Commercial Vacant Land & Land W/Inc. 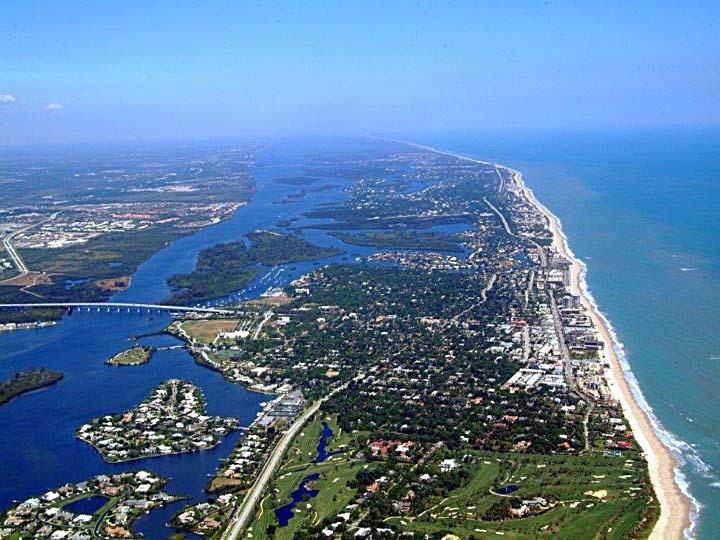 View of the “barrier island” in Vero Beach, Florida with the Atlantic Ocean to the east and Intracoastal Waterway (Indian River Lagoon) to the west. The barrier island has three loosely defined areas called – North Beach, Central Beach & South Beach that share the 32963 zip code. The Vero Beach “mainland” spreads west of the Intracoastal Waterway and includes the City of Vero Beach and historic downtown. Sebastian, a laid back fishing village, is in the upper left of this image. Fellsmere is a low density, rural community west of Sebastian and 13 miles from the Atlantic Ocean.